Immigration/Green Card Through Family Sponsorship | Chicago Immigration Lawyer | Bankruptcy Attorney | Personal Injury Law Firm | Ebere N. Ekechukwu & Associates, P.C. Obtaining a Green Card through Relatives is one option for individuals who have close relatives or family members who are U.S. citizens or permanent residents. Family members will be eligible to apply for a permanent residence (Green Card) if the sponsoring relative is a United States citizen by birth, derived citizenship or through naturalization. The family member who will sponsor you for a Green Card can be your immediate relative or preference relative. The term immediate relative applies to relatives of U.S. citizens, including spouses, parents, and children under 21 years of age. The term preference relative applies to certain other relatives of U.S. citizens and permanent residents. Preference relatives include married and unmarried sons or daughters (over 21 years) of U.S. citizens; brothers and/or sisters of U.S. citizens. Also included as preference relatives are spouses, minor children, and unmarried sons or daughters (over 21 years) of U.S. permanent residents. Preference relatives cannot obtain permanent residence until their priority dates are current. Immediate relatives do not face waiting times for visa availability. 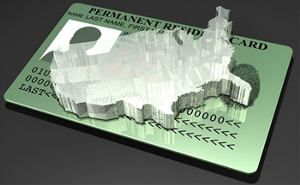 Immediate relatives in the United States may qualify to file Form I-485 to adjust status. Preference relatives often face very long waiting times due to strict annual limits on permanent immigration benefits. The length of the wait depends upon which family preference category is appropriate as well as the country of origin. Contact us today at (312) 362-9844 and We Can Help You: The Law Office of EBERE N. EKECHUKWU & ASSOCIATES, P.C. 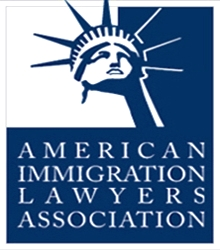 provides advice and represents individuals who are seeking U.S. immigration benefits through family member sponsorships. We explain the legal issues, prepare and file the required forms and applications, guide, prepare and represent clients at interviews at USCIS offices in the U. S. and U.S. Consulates overseas.